Removing everything from the bathroom and disposal. Supply and install new 900mm vanity with 1 basin and mixer. Supply and install new 900mm mirror. Supply and lay new wall tiles. 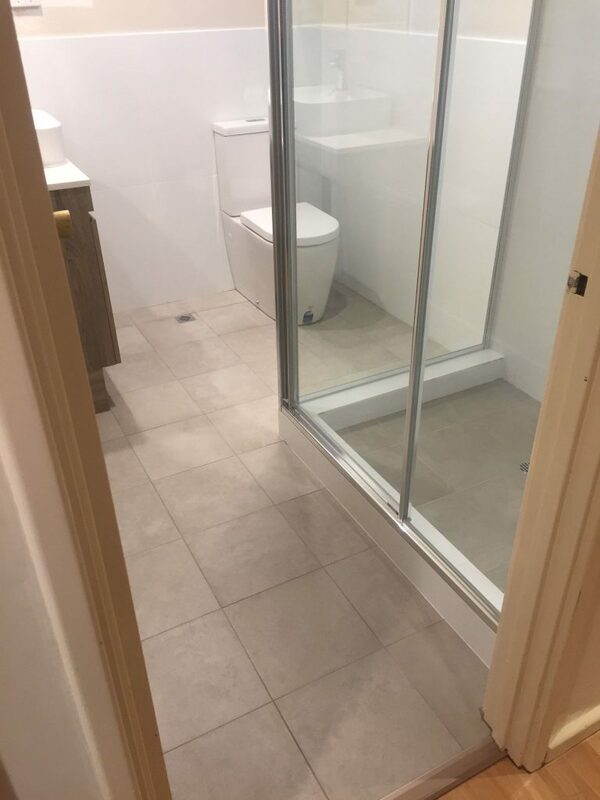 (Shower to 1900mm high, 1000mm around the toilet and skirting all around. Supply and lay new floor tiles. Supply and install new shower mixer and rose. Supply and install shower screen. Supply and install new toilet and connection to sewer. Waterproofing, rendering and floor levelling. Supply and install mixer tap for shower and shower rose. Supply and install mixer tap, basin and cabinet 900mm. Supply and install mirror 1500mm. Supply and install shower screen, fully framed. Supply and install wall tiles with budget of $30.00 per M2. Supply and install floor tiles with budget of $30.00 per M2. Supply and install new toilet suite.